Our mission is to help our fellow Bay Area residents avoid the hassle and expense of probate and associated adverse tax consequences. As a leader in the industry, having completed thousands of estate plans, Fidelity Law Offices is a law firm made up of Bay Area residents and we work on a fixed fee basis so that you will have no surprises. We receive great satisfaction by using the law to help other Bay Area residents avoid the stress, frustration and cost of the probate process. You can be assured that our work will help take care of your assets and pave the way for an easy transition for you and your loved ones. Our mission is to have all qualified residents in the San Francisco Bay Area AVOID probate. Here are some questions that some of you may have and we would be delighted to discuss this information with you in person. WHAT IS A LIVING TRUST? A revocable, "Intervivos" trust is a written legal document where assets are placed in trust to avoid probate fees and mitigate capital gains taxes. It is created during your lifetime and you have complete control of your assets. Your assets are placed into a Trust for your benefit during your lifetime and then transferred to designated beneficiaries at your death by your chosen representative, a Successor Trustee. It sets forth your wishes regarding the distribution of your property and the care of your minor children. It gives detailed instructions to your Successor Trustee. Unlike a will, it is not a public document. WHAT IS A WILL? A Will is a legal document that sets forth your wishes regarding the distribution of your property and the care of your minor children. It is subject to probate, which is an expensive, public process. WHAT IS INTESTACY? Intestacy occurs when a person dies and no will or trust exists. In this case, the Probate Courtdecides who receives your money and assets,who will administer your estate and, if applicable, who will become the guardian of your minor children. The Probate Court's decisions may not coincide with your family's needs and desires. The documents are public. WHY NOT LEAVE IT TO PROBATE? There are several unfavorable outcomes that may occur when leaving things to Probate such as: The wrong individual may be selected by the courts to administer your estate. It is expensive, complicated and public. The court may select an unfavorable or even inappropriate guardian for your children. When children reach the age of eighteen, they automatically receive their share of your assets which is usually an unwise time. Beneficiaries may be those you would have wanted to disinherit. CAN I JUST USE THE NEW TOD DEED AND NOT DO ANY OTHER ESTATE PLANNING? While this deed can be an estate planning tool under some very limited circumstances, it needs to be used with caution and along with other estate planning tools. WHY IS HAVING A WILL USUALLY AN INADEQUATE ESTATE PLAN IN CALIFORNIA? A Will does not avoid the Probate process. If the value of your assetsexceed $150,000 at your death, Probate will be necessaryand will take at least one year and a day. It will cost 4% - 7% of your estate prior to beneficiaries receiving assets or money. Furthermore, you may create an estate tax for your beneficiaries ranging from 3%-50% of the amount of your estate exceeding the estate tax exemption limit. IS JOINT TENANCY A WISE WAY TO PLAN FOR MY PASSING?It usually is not a wise method and poses inherent risks. Joint Tenancy is a type of ownership of an asset in which all tenants have equal rights to an asset. It also grants survivorship rights in the event of the death of an owner/account holder. Because of this, one may think Joint Tenancy is a good option to avoid Probate.However, there are pitfalls to taking title to each other's assets as Joint Tenants With Rights Of Survivorship. Itcan be dangerous in an unstable relationship. A joint owner could jeopardize the entire value the asset. Neither party can sell or encumber the asset without the other party's consent. Bank accounts may be frozen. A Right of Survivorship means that the surviving Joint Tenant will receive the entire asset even if your Will states something to the contrary. A surviving spouse or business partner may sell the asset, leaving the decedent no control over the final or ultimate disposition of the asset entirely. Specific services we provide, in an easy and enjoyable way, are - New and complete estate plans - For new estate planning clients, wework on a fixed fee basis including our advanced estate planning services. You will not be charged every time you talk with an attorney becausephone calls are included. We do not want you to hesitate callingus for fear of runaway costs. We WANT to answer your questions! We make the process very easy for clients and very enjoyable. We only work on a fixed fee basis. Clients find our pricing to be extremely competitive. Our mission is to help our fellow Bay Area residents avoid the hassle and expense of probate and associated adverse tax consequences. 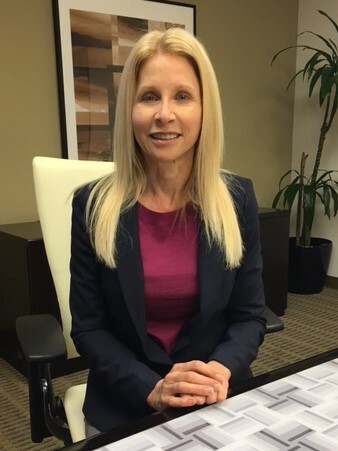 As a leader in the industry, having completed thousands of estate plans, Fidelity Law Offices is a law firm made up of Bay Area residents and we work on a fixed fee basis so that you will have no surprises. We receive great satisfaction by using the law to help other Bay Area residents avoid the stress, frustration and cost of the probate process. You can be assured that our work will help take care of your assets and pave the way for an easy transition for you and your loved ones. Our mission is to have all qualified residents in the San Francisco Bay Area AVOID probate. Here are some questions that some of you may have and we would be delighted to discuss this information with you in person. WHAT IS A LIVING TRUST? A revocable, "Intervivos" trust is a written legal document where assets are placed in trust to avoid probate fees and mitigate capital gains taxes. It is created during your lifetime and you have complete control of your assets. Your assets are placed into a Trust for your benefit during your lifetime and then transferred to designated beneficiaries at your death by your chosen representative, a Successor Trustee. It sets forth your wishes regarding the distribution of your property and the care of your minor children. It gives detailed instructions to your Successor Trustee. Unlike a will, it is not a public document. WHAT IS A WILL? A Will is a legal document that sets forth your wishes regarding the distribution of your property and the care of your minor children. It is subject to probate, which is an expensive, public process. WHAT IS INTESTACY? Intestacy occurs when a person dies and no will or trust exists. In this case, the Probate Courtdecides who receives your money and assets,who will administer your estate and, if applicable, who will become the guardian of your minor children. The Probate Court's decisions may not coincide with your family's needs and desires. The documents are public. WHY NOT LEAVE IT TO PROBATE? There are several unfavorable outcomes that may occur when leaving things to Probate such as: The wrong individual may be selected by the courts to administer your estate. It is expensive, complicated and public. The court may select an unfavorable or even inappropriate guardian for your children. When children reach the age of eighteen, they automatically receive their share of your assets which is usually an unwise time. Beneficiaries may be those you would have wanted to disinherit. CAN I JUST USE THE NEW TOD DEED AND NOT DO ANY OTHER ESTATE PLANNING? While this deed can be an estate planning tool under some very limited circumstances, it needs to be used with caution and along with other estate planning tools. WHY IS HAVING A WILL USUALLY AN INADEQUATE ESTATE PLAN IN CALIFORNIA? A Will does not avoid the Probate process. If the value of your assetsexceed $150,000 at your death, Probate will be necessaryand will take at least one year and a day. It will cost 4% - 7% of your estate prior to beneficiaries receiving assets or money. Furthermore, you may create an estate tax for your beneficiaries ranging from 3%-50% of the amount of your estate exceeding the estate tax exemption limit. IS JOINT TENANCY A WISE WAY TO PLAN FOR MY PASSING?It usually is not a wise method and poses inherent risks. Joint Tenancy is a type of ownership of an asset in which all tenants have equal rights to an asset. It also grants survivorship rights in the event of the death of an owner/account holder. Because of this, one may think Joint Tenancy is a good option to avoid Probate.However, there are pitfalls to taking title to each other's assets as Joint Tenants With Rights Of Survivorship. Itcan be dangerous in an unstable relationship. A joint owner could jeopardize the entire value the asset. Neither party can sell or encumber the asset without the other party's consent. Bank accounts may be frozen. A Right of Survivorship means that the surviving Joint Tenant will receive the entire asset even if your Will states something to the contrary. A surviving spouse or business partner may sell the asset, leaving the decedent no control over the final or ultimate disposition of the asset entirely. Specific services we provide, in an easy and enjoyable way, are - New and complete estate plans - For new estate planning clients, wework on a fixed fee basis including our advanced estate planning services. You will not be charged every time you talk with an attorney becausephone calls are included. We do not want you to hesitate callingus for fear of runaway costs. We WANT to answer your questions! We make the process very easy for clients and very enjoyable.